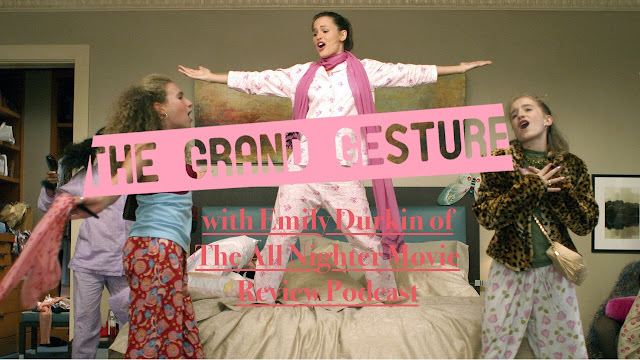 On this episode we sprinkle a little Mark Ruffalo fairy dust and jump ahead to our fun and flirty thirties with guest EMILY DURKIN of THE ALL NIGHTER MOVIE REVIEW PODCAST for a discussion on 13 GOING ON 30. One host hates Jennifer Garner and is terrible while the other one is incredibly handsome. We also debate the relevance of VH1 to... well, anyone at this point, as well as the levels of cringe for making LOVE IS A BATTLEFIELD your personal mantra. Better or worse than a flash mob THRILLER dance? Find out all of this and other minor topics like making out with a 13 year old the week before you get married on the latest episode of THE GRAND GESTURE!